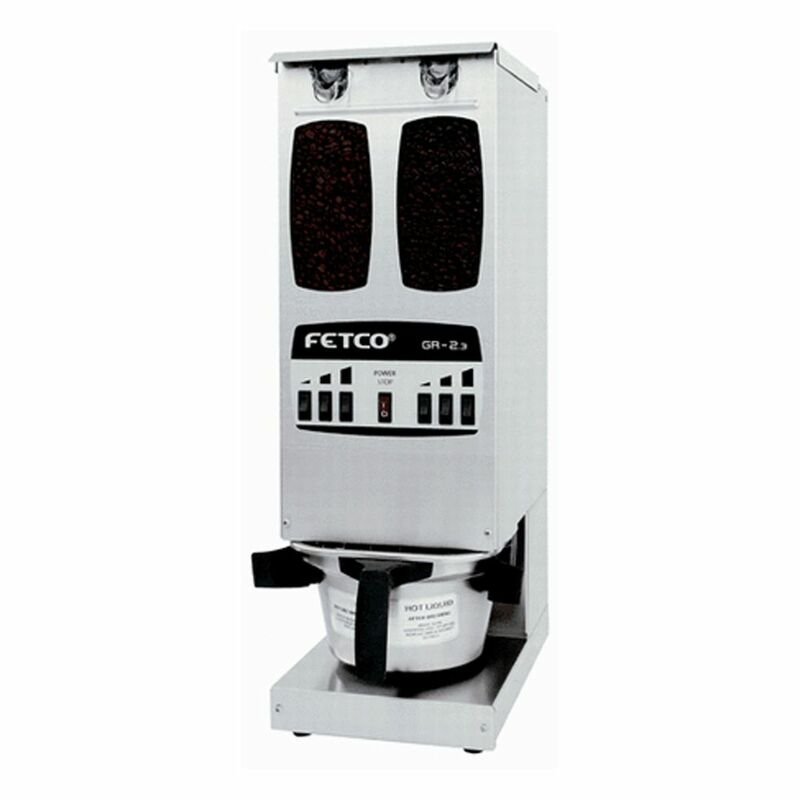 Click the button below to add the Fetco GR2 Dual Hopper Coffee Grinder to your wish list. 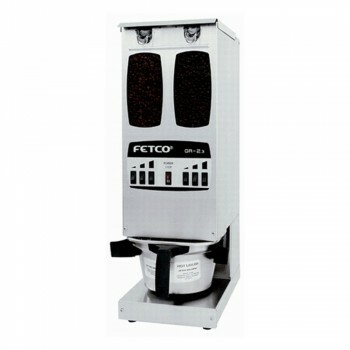 Fetco’s GR2 precision burr grinder is built to exceed the demands of the busiest businesses with the ability to grind directly into brew baskets at a 510 gram-per-minute (18 oz) rate. A pair of extra-large 5 lb bean hoppers compliments the GR2, enabling it to grind up to its maximum capabilities without interruption. 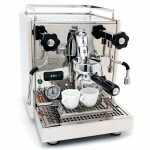 Very little user experience is required to grind with the Fetco GR2, as it features a very simple front control panel. To grind, manually adjust the brew basket holding arms to fit the brew basket, then just choose a portion size to begin the grind cycle. Though grinding with the GR2 can be done by most users, adjusting the GR2’s advanced settings requires a bit more training. 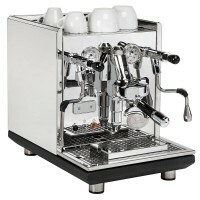 To adjust the grind settings, users should follow specific step-by-step instructions in the product manual, but since the GR2 comes with Fetco's default presets, these features only need to be adjusted if so desired. 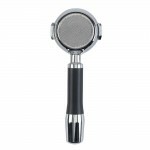 The GR2 is available in models with 2 or 3 batch-size buttons per side to let you grind small, medium or large portions. Digital timer control makes the GR2 fully automatic, enabling it to grind a full batch from start to finish by pressing a single button. 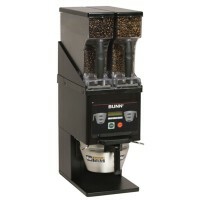 Each of the grinder’s clear plastic bean hoppers hold 5 lbs of coffee, and can be removed for quick cleaning, refilling or to swap in other bean hoppers. A powerful 0.67HP motor ensures the GR2 is ready for continuous use, and a built-in thermal breaker protects the motor from overheating. The GR2's grind settings can be adjusted as precisely as needed, so you can grind at almost any level of fineness. 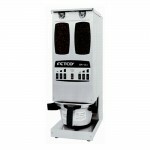 This Fetco Grinder features an adjustable brew basket holding station, which will accommodate 7” to 9” filter baskets. 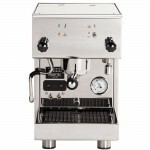 The GR2 can be purchased with 2 or 3 preset batch buttons on each side of the machine for small (4 oz), medium (6 oz- 3 preset model only) and large (8 oz) quantities. 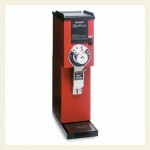 To adjust this Fetco grinder’s programmable options, remove the lower cover and press the “Set” button. 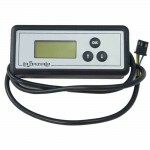 This will give you access to digital timer settings as well as the GR2’s motor delay feature. 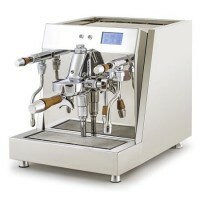 The motor delay can be programmed to briefly grind leftover coffee beans in the burr chamber after the bean hopper doors have closed. Adjusting the motor delay will ensure that the grind cycle does not leave behind partially ground beans in the burr chamber. To adjust the GR2’s grind settings, simply remove the machine’s front cover to access the adjustment screw. 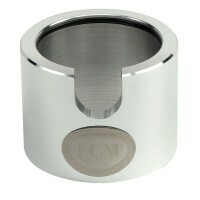 The adjustment screw can be rotated to modify the coarseness or fineness of your grind. 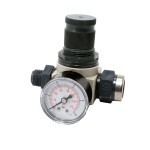 Since the adjustment screw allows you to directly control the position of the burr plates, it can accommodate even the slightest grind changes to suit your needs. The GR2 is equipped with an enclosed chamber that houses a pair of 5-pound capacity bean hoppers. Each bean hopper is made of diswasher-safe, transparent plastic which allows you to easily monitor your bean supply through the GR2’s large viewing windows. Each bean hopper is easily removed and additional hoppers can be swapped in and out to give customers plenty of coffee choices. Use a mild detergent on a clean, non-abrasive cloth to clean the machine’s exterior. 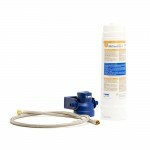 If possible, use stainless steel cleaner on all stainless steel surfaces. Each of the GR2’s removable hoppers are dishwasher safe, and should be washed every time they are empty. Please note that the bean hopper covers are NOT dishwasher safe, and should be hand washed using a mild detergent. About once a month, it is recommended that you clean the grinding burrs in the GR2 with Urnex Grindz. These food-safe, grindable tablets can be ground just like coffee beans to absorb coffee oils and loosen buildup inside of the grinding chamber. Installing the Fetco GR2 is a do-it-yourself operation, and only requires that you plug it into a compatible 120v electrical outlet.